Grace is a tricky subject. We get the gist of it: We sinned, Jesus died, we’re saved. But do we really understand? I confess that this is one I sometimes struggle with. I’m told grace is the unmerited, unearned favor of God. The unmerited part seems pretty obvious. I know I’m a sinner. I hear it in my voice when I yell at my kids. I hear it in my mind when I think critical cutting thoughts about someone I don’t like. I feel it in my heart when God tells me to reach out to someone and I stop to debate whether or not I will obey. The unearned bit is also pretty clear cut. Oh, sure, I’m a decent enough human being, but nothing earth-shattering. I like talking to kids, but I’m no Sunday school teacher. There’s always room for a friend at my table, but I’m not volunteering my weekends to serve meals at the homeless shelter. And I like sharing with you all a few words God has laid on my heart, but I’m not getting my theology degree or seeking ordination to become a great Bible teacher. But then we come to the mic drop: favor of God. Merriam-Webster.com says favor means “to show partiality toward,” and gives synonyms of prefer, handpick, adore, cherish. Let’s think this through. We’re talking about the great big GOD of the whole wide universe. Creator of Heaven and Earth. King of kings, Lord of lords, the Big Kahuna. He knows what I’m like in public and private. He knows where I am and where I’d rather be. He knows what I say out loud and what I’m really thinking. So, if He knows the truth about me, why would he prefer me, handpick me, adore me, cherish me? This is the time I start thinking that serving friends dinner and writing this little devotional are getting me farther than I thought. I must be doing ok. I’m working pretty hard, trying to be a good person, doing everything I can to be good enough for God, and then His grace fills in the gaps. Right? Let’s look at the rest of that verse. “… in that while we were yet sinners, Christ died for us.” That’s right, Jesus paid the highest price, gave up His throne, gave up His dignity, gave up His life, long before I ever got around to thinking up ways to try to impress Him (as though that were possible). Because my selfishness and dirtiness separated me from God, and because He couldn’t live without me, He died. And in that horrible, gruesome, painful, selfless act, He showed me favor that I could never begin to earn or merit. He made a way for me to be with Him again. Ok, are you ready for the really great news? He did it for you, too. Oh, yes, He did. Don’t shake your head at me. I know you’re thinking you’ve made too many mistakes, you’ve blown too many chances, you’ve gotten too dirty. Or maybe you’ve been trying to impress God. Trying work really hard for Him. Trying to get really clean for Him. Trying to make yourself good enough for Him. All of that is irrelevant because it’s already done. He already died for you. He already made you clean. He already opened the door for you to be with Him. Because He already loves you. Did you catch that? Should I say it again? You may ask, “What about obedience and service?” Yeah, those are a portion of Christian life, but we’ll get to those later. Today we’re talking about GRACE, something that happened a long time ago. So, sit back and rest in it for a while. You and I don’t deserve. We didn’t earn it. But God freely gave it to us anyway … because He loves us. Go figure. In this world of texts, memes, and emojis, slowing down to truly communicate can feel like straining a muscle you haven’t exercised in far too long. 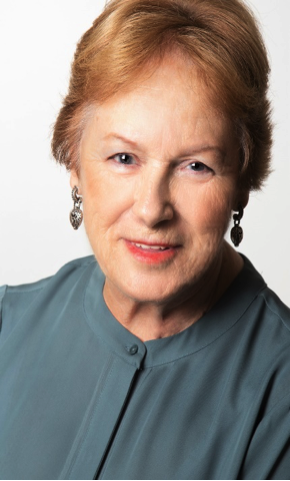 Seventeen years of business experience across a variety of industries has taught Carrie Del Pizzo the fine art of professional communications. Partnering with corporate executives and entry-level employees alike, she has written and edited major project proposals, direct marketing pieces, sensitive client communications, employee handbooks, and user manuals. 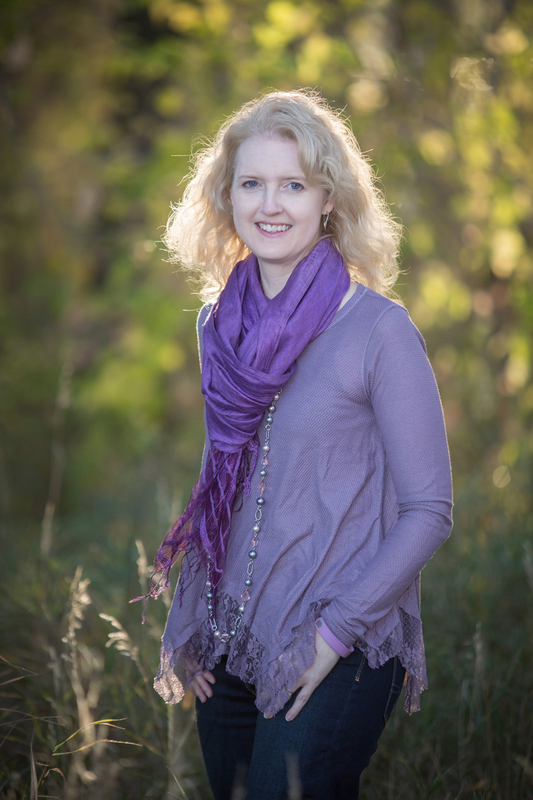 Carrie’s love of literature and story has led her to develop and exercise her fiction writing skills as well. 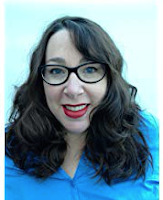 Aside from her personal creative efforts, she also edits for self- and traditionally-published authors and enjoys writing short dramas for church presentation. Carrie is a wife, mom of three Americans and host-mom to numerous exchange students. Italian-by-marriage means she loves to cook and eat. She lives in Spokane, WA, with her hilarious family, who keeps her in stitches and provides piles of material for great stories. In the upper midwest of the United States, winter can often feel neverending. While the Black Hills where I live get a surprising amount of sunshine even in the winter, those gloomy days, cold temperatures, and biting winds can sap the strength of even the most ardent optimist. But I know that spring will come, even if it’s still months away. Why? Because I live in hope. Hope. Such a small word to hold such enormous promise. In the night, I hope for daylight. In the pain, I hope for relief. In the grief, I hope for joy. in the chaos, I hope for order. In the anger, I hope for peace. Hope is not a wish or a dream. This is the foundational faith that the God I believe in will rebuild what is broken because in His Word He promised He would. I find these verses from the book of Lamentations especially poignant. This poetic prophecy was written as a reflection on the destruction of Jerusalem and the Temple, and the subsequent exile of the Jewish people into Babylon. When the world crumbled around him from the turmoil of war, this man had a seed of faith allowing him to hope that the Lord would be merciful. He knew this would not be the end of the story for God’s people. Jeremiah had stories from Creation, the Exodus, the conquering of Canaan, the life of David, which is a fairly short time-line compared to what we have. Today, with evidence from every book of the Bible and millions upon millions of stories from people around the world who continue to experience the presence, guidance, and faithfulness of God, how can we possibly feel hopeless? So, the bulbs in my flower garden are currently buried under layers of frozen dirt, ice, and snow. But because every year the ground thaws, the sun comes out, and the birds come back, I have hope I will eventually see flowers bloom, even through the snow, if necessary. God has never failed me yet. Great is His faithfulness. My Prayer: Gracious God, I know You have always and will continue to show Your faithfulness to the world. In our darkness, sadness, brokenness, and mourning, have mercy. Remind us that even if it doesn’t happen today or tomorrow, Your Kingdom will come in all its truth and glory. Make us ready. In Jesus’ holy name, Amen. 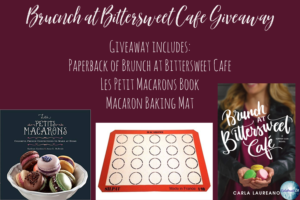 Welcome to my blog's stop on Carla Laureano's tour for her new novel, Brunch at Bittersweet Cafe! What can I say? Brunch at Bittersweet Café is a winner! It's a deliciously wonderful story filled with mouthwatering food, captivating characters and a romance to remember! The plot thickens with the turn of every page. The dialogue is fresh and engaging. The storyline is rich and multi-layered. The characters are well developed, each with a mind of their own and passion for life. The hero is swoon-worthy and the heroine is strong-willed. Watching them fall in love with each other was rewarding because the author did a great job in making it look like they could never be together. Carla (the author) kept me as the reader guessing until the very end of this story. I think that readers will be pleasantly surprised by the way this story ends. 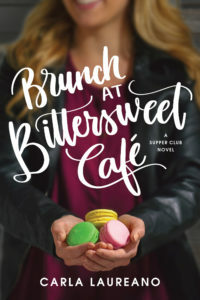 After reading Brunch at Bittersweet Café, I was inspired to keep fighting for my creative career dreams because the concept of grit when working to make a dream come true was well-portrayed in this story and a true mirror to what can happen when you persevere in real-life. Bravo, Carla Laureano, for writing a story that’s as memorable as it is sweet! Please note: Celebrate Lit provided me (Alexis A. Goring) with a complimentary copy of "Brunch at Bittersweet Cafe". My opinions in this book review are my own. Read more about Carla's story below and enter the giveaway contest toward the end of this blog post for your chance to WIN amazing gifts! Then disaster. Or at least, what a baker would consider a disaster. After developing chronic health problems, I discovered that among other things, I was sensitive to gluten. The horror! In order to heal, I turned to the paleo diet, which eliminates all grains (there goes most gluten-free recipes) and all processed sugars (there goes everything else). I’ve tried baking paleo-style, and while I can now make cakes that even my gluten-fiend family enjoy, it’s just not the same. God hears our prayers and answers for our good. Sometimes it is hard for us to understand why God answers the way He does and in the timing that He chooses, but we just need to trust that when our prayers aren’t answered when we expect, God is protecting us and it will be for our good. I had to believe this on a morning when my sweet husband misplaced his keys! Now he often misplaces his keys, wallet, and I.D. for work. I joke with him that if he had a place to put all these things, like a man purse, this problem might be solved! Surely if I didn’t have a purse or place to house all of my things I might lose them more often too. Anyhow, we usually whisper a prayer and locate those keys before he has to go to work, but not today! We looked right up until the last minute and those keys would not turn up. We prayed the whole time and I don’t know why they didn’t just turn up like usual. Frustrating, yes! But we both hopped in my school bus, I mean my truck, (it just feels like a bus since I drive four kids around every day) and headed to drop him off at work. I came home and searched high and low for those keys, I mean I looked every possible place you can imagine, and my Mom even helped me to tear the house up, still no keys. In my head, I would find those keys and have my Mom follow me to his job to drop off his car so he could be free to come home at his leisure. No such luck! The last time he lost his keys, God impressed us to look in the garbage just before it was going to be picked up, and there were his keys! Surely if God could show us where those keys were then, He would certainly help us find them before the day was over. However, we still couldn’t find them all day! It was time to pick him up from work and I was disappointed to tell him that God had not answered our prayers to find the last set of keys we owned to his car. We would have to spend a couple hundred dollars to replace that set of keys! My husband’s keys were hiding in a box that I don’t think any of us would have thought to look in (courtesy of one of our loving kiddos)! It was only God’s grace that allowed my husband to look in a small box that a toy came in to find his keys. A box that should’ve been thrown in the trash! I believe that God was protecting Colin from something that day. He was looking at the bigger picture, looking into the future, like only He can and changing it for his good. I believe he was stopping something that could have been tragic. It was no coincidence that those keys would not turn up until we were all at home safe and sound. When we get to heaven, I can’t wait to ask God why He wouldn’t let Colin find his keys to drive his car to work on June 3, 2017. I trust God. I believe that He hears every prayer because He does. We may not understand the ways or timing He chooses to move in, but we can have peace knowing that we have a Heavenly Parent (God) who is looking out for our best. We can rest assured that our Heavenly Father knows best. Heather Martin was born the last of six siblings in New Orleans, Louisiana. She was raised by an amazing single mother (Rebecca Trotter) and was taught at an early age to love God and how to sing! She graduated from Oakwood University with a Bachelors Degree in Language Arts Education and later received a Master’s Degree in Education from Kaplan University. Shortly after graduating she followed God’s call to minister. She joined the Stellar, Dove, and Grammy-nominated gospel group Virtue, which was founded by her two older sisters Ebony Holland and Karima Kibble several years prior. Virtue has used their talents to spread the love of God across the world! They have recorded 7 studio albums and have been the recipients of numerous awards. God has not only blessed Heather professionally, but personally. She met her husband, Dr. Colin Martin, and they have been married for 14 years. They have four children: Colin Jr. 11, Harper 10, Clark, 7, and Charleston 5. In 2016 Heather started an online blog and vegan and allergen-friendly cooking channel called “Chef Mommy.” Heather (Chef Mommy) has cooked with numerous celebrities and top chefs to spread the news of healthy cooking and lifestyle. In addition to this busy schedule, Heather enjoys, running, reading, writing and spending time with her family. It’s February and by now you’re probably a little sick of love. Valentine’s Day with its pink and red excess means an onslaught of bad takes on love. When you read the above verses, you get the BIble’s take on love, and it’s the best one. Another solid take is “The Four Loves” by C.S. Lewis. One of my favorite quotes from it is, “To love at all is to be vulnerable.” The entire passage is wonderful, but that first line has some deep wisdom in it. Love is by nature, sacrificial. It’s also sacred. Right. That’s not how it works. We’re humans and therefore sinners. We’re going to make mistakes. We’re going to hurt each other. The very act of loving someone guarantees you will experience pain at some point. When someone hurts you, really breaks your heart, the temptation is to hold onto that pain. We tend to revisit old wounds, proudly bearing our scars as if they are badges of courage. They make us tougher and they make our hearts harder. Resentment and bitterness slip in while we’re not paying attention and, before we know it, love is impossible. God perfectly loves us. We, in turn, start sinning against Him from nearly the moment we are born. If He can offer us forgiveness in the depth of our sin, how can we withhold it from someone we love? Forgiveness drives out bitterness. They can’t occupy the same space. But, what if the person who hurt you is unrepentant? Forgive them. What if they do it again? Forgive them. That doesn’t mean that you stand still while they pummel you. It’s right and good to create safe distance between yourself and someone hurting you, emotionally or otherwise. But forgiveness sets you free. Someone I once loved hurt me profoundly. It took years to let go of those scars. Part of the process was acknowledging the pain, believing that what had happened to me was wrong and that while what I was feeling was only natural, it needed to end. I thought of how God loves us, the mountains of sins He forgives. This person never asked for my forgiveness, never acknowledged their harm, but it didn’t matter. As God forgave me…It took time, but I was finally able to forgive the past and let it go. The scars are probably still there, but they’re a reminder, a caution, not a pool of resentment and bitterness that I draw on. The world will tell you to hold onto your pain, to let love be a shallow, temporary thing. Remember what The Holy Bible says in 1 Corinthians 13:4-7 and what love really is...After all, God is love. Christa MacDonald is a 2017 ACFW Carol Award finalist for contemporary Christian fiction. 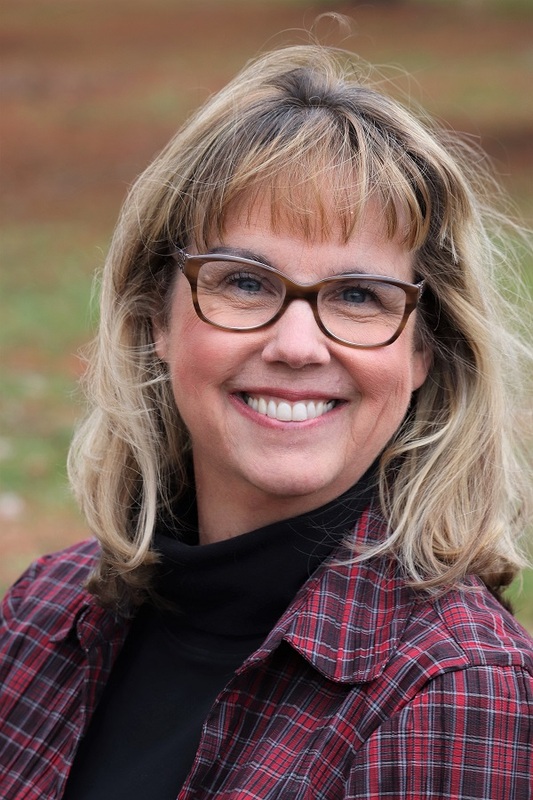 A native New Englander, she was inspired by her travels through the north woods of Maine to write The Broken Trail, which would become the first in the Sweet River Redemption series published by Mountain Brook Ink. Christa's writing focuses on the real-life challenges of the modern world; love’s sometimes crooked path, and the redemptive power of Grace. When not working or writing Christa can be found ferrying her kids around, reading, or attempting something crafty. She and her husband live with their three kids, two cats, and one dog along the coast of New England. 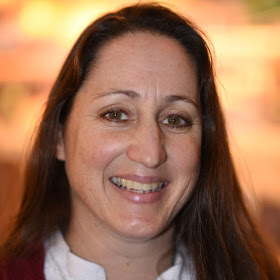 Connect with Christa at www.christamacdonald.com. The book of Esther is a dramatic account that can give us insight into God’s special and purposeful plan for our lives. He didn’t create ‘junk’ when He created you and He wants you to succeed. Take a look at the life of Esther. Esther is a young and beautiful Jewish woman living in Persia and reared by her cousin, Mordecai. Because of her beauty, she was taken to the King of Persia to become part of his harem. He saw something special in Esther and took a liking to her and made her Queen. However, he didn’t know her Jewish heritage. Haman is the scoundrel of the story. He is a vengeful and egotistical advisor to the King. Haman tells the King that the Jewish people have different customs and do not obey the King’s laws. The King authorizes Haman to handle the fate of these people. Haman announces a government issue edict of genocide. Esther knew that going to the King unsolicited could be her death sentence. So, what does she do? She calls for the Jewish people to join her on a three day fast. Following the fast, she dresses to the nines, approaches the King, and tells him of Haman’s plot against the people. The Jews are saved, Haman is hanged on the same gallows he’d prepared for Mordecai, and Esther receives Haman’s estate. We may not be called upon to save a people but God has chosen a plan for each of us. Something that only we are capable of doing. When we feel totally unqualified for service, it is probably the best time for God to elevate you. 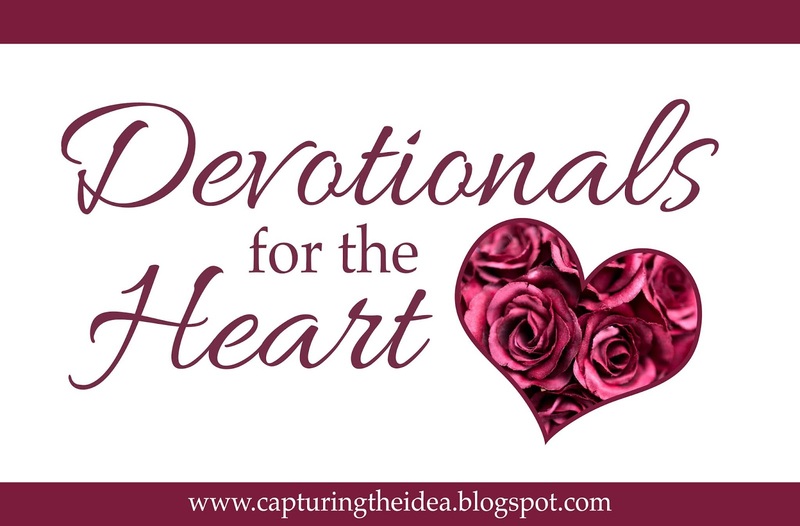 I pray for the courage that Esther had, I’m sure she was afraid to boldly go to the King, but obedience to God and loyalty to her people shoved her fear behind her as she took a leap of faith. Let us listen for God’s direction and be obedient to follow where He leads. Nanci lives in Northern Virginia with her husband and cats, Romeo and Juliette, along with their newest member of the family, Roni, a seven-month-old Goldendoodle. Recently, Nanci completed her debut novel, A Betrayal in Cross Keys. It is an Amish romance and has placed it in her agent's capable hands. The rest is up to God. You know you’re young and in love when you go on a picnic in the rain. My husband-to-be and I did that on our first Valentine’s Day together. We’d been dating for about two months and nothing could stop us from enjoying time together on that special day. We looked up at the ominous clouds, shrugged, and spread the blanket on the lush grass in Will Rodgers State Park, a beautiful spot near the Pacific Ocean. The first raindrops sprinkled halfway through the afternoon. Big and round, they were few and far between. We nibbled away at our thick deli sandwiches, exchanged mushy cards, and savored being in love—until the clouds let loose with a deluge. That did it! Happy and laughing, we gathered our things and ran for the car. But even then we didn’t care about getting wet. We were brand new Christians at the time—in love with each other and in love with God. Our faith was in the honeymoon phase, where dreams are born and newness abounds in the fresh wash of God’s forgiveness. In those first heady days of faith, we trusted God without question and loved both God and each other without condition. That rainy day picnic was many years ago, but it still stands out in my mind as a picture of love in the face of difficulty. My husband and I have been married many years now, and speaking figuratively, we’ve been on a lot of picnics that were washed out by rain. Through it all, we’ve hung on to God and to each other. Nothing—not even an epic storm—could separate my future husband and me that day. And nothing—read that list in Romans 8:38-39—can separate us from God’s love for us. It’s pure joy to worship the God who stays with us in the rain. I want to be that kind of wife, mother, and friend. I can’t do it in my own strength. My humanity leaks all over the place when I’m uncomfortable with situations or other people, but by the grace of God, I can love others because God first loved me. It’s amazing to realize that God called each one of us into fellowship with Him—that He chose us to love and be loved, and to share that love with others. We give chocolates and flowers on Valentine’s day. The chocolates are eaten and enjoyed; the flowers bring beauty to homes and hearts. Those gifts are meaningful because of the love behind them, but nothing compares to the generous love of the greatest giver of all. Thank you, Lord Jesus, for loving me just as I am! Victoria Bylin is the author of 18 traditionally published romances. Known for tackling difficult subjects with great compassion, she delights in stories that shine the spotlight of God’s love on ordinary men and women facing realistic challenges. Writing has always been a part of Victoria’s life. As a child, she wrote hundreds of letters and scribbled in journals. As an adult, she worked as a freelance journalist and editor before taking on the challenge of fiction. She had one goal when she started her first novel: to finish a book-length manuscript, good or bad. That first effort will never see the light of day, but it led to a second manuscript and a sale to Harlequin Historical. Since then, she has written westerns and contemporary romances for both mainstream and Christian publishers, with Together With You winning the 2016 Inspirational Readers Choice Award for Best Contemporary. Writing is a joy and a challenge for Victoria, but faith, friends and family matter to her far more. She’s a wife, mom, proud grandmother, and a dog-mom to a wacky Jack Russell Terrier. Originally from California, she and her husband currently make their home in Lexington, Kentucky. When she’s not writing, Victoria enjoys long walks, travel, and dark chocolate.